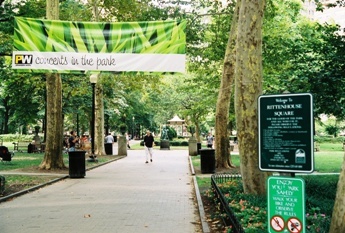 Rittenhouse Square is one of the five original squares in William Penn's design for Philadelphia. Originally named simply the "southwest square", it was renamed in 1825 after David Rittenhouse, a well known Philadelphia astronomer and patriotic revolutionary era leader. Unlike the other squares, Rittenhouse square was never used as a burial ground, although it was used as a cattle pasture. After a building boom began in the 1850's, the Rittenhouse Square neighborhood became one of the most exclusive in the city, the home of the city's Victorian aristrocracy. 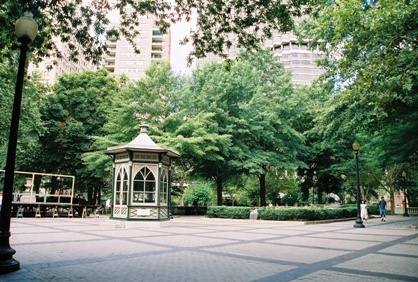 Surrounded by fashionable homes and condominiums, the Rittenhouse square area is considered one of the most desirable real estate locations in the city.